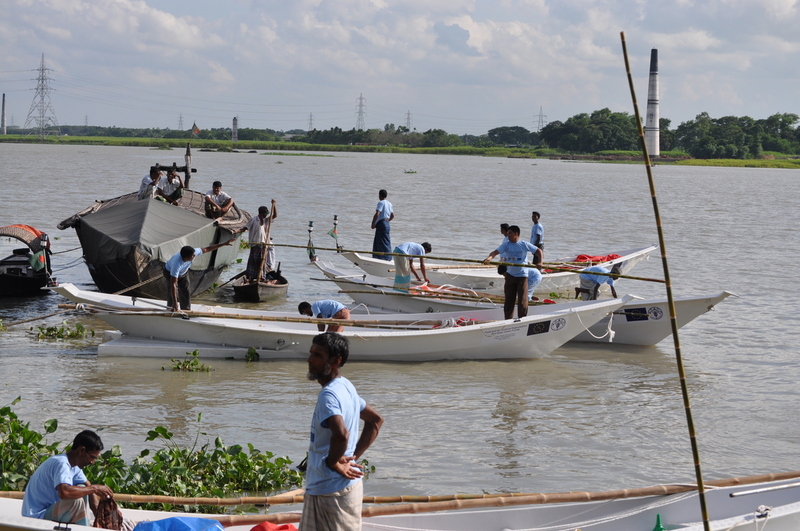 TaraTari Shipyard delivered the first batch of 12 fishing boats for FAO at Sharankhola in the south of Bangladesh, next to Sundarbans. 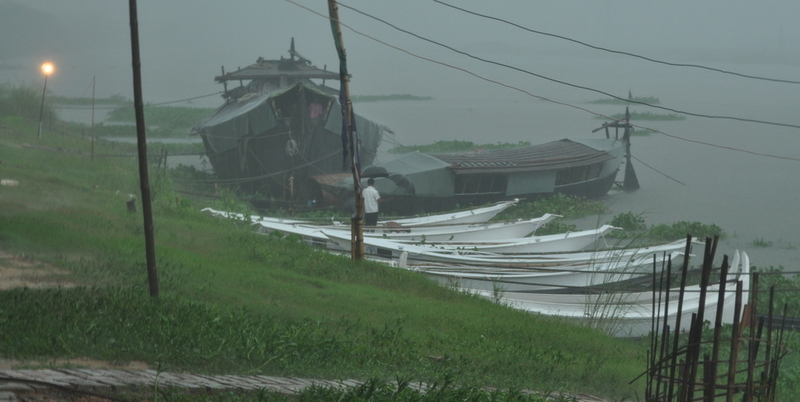 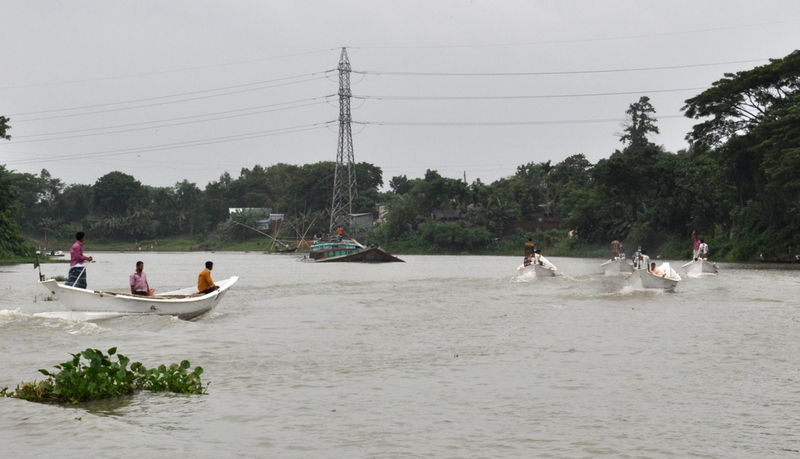 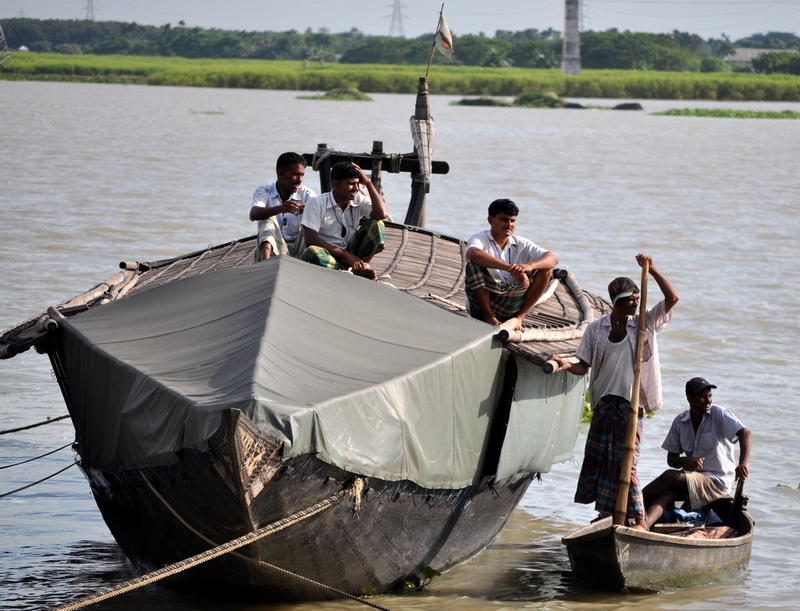 Boats left Chittagong by truck and went by sea 6 by 6 from Chandpur to Sharankhola. 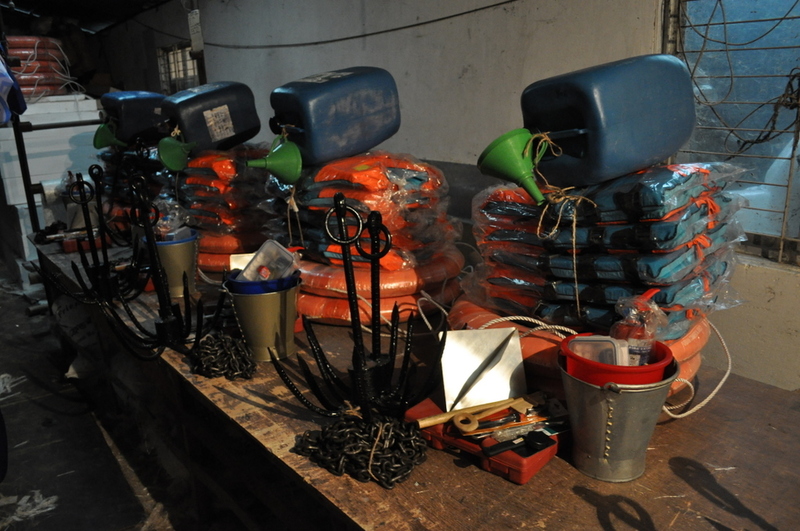 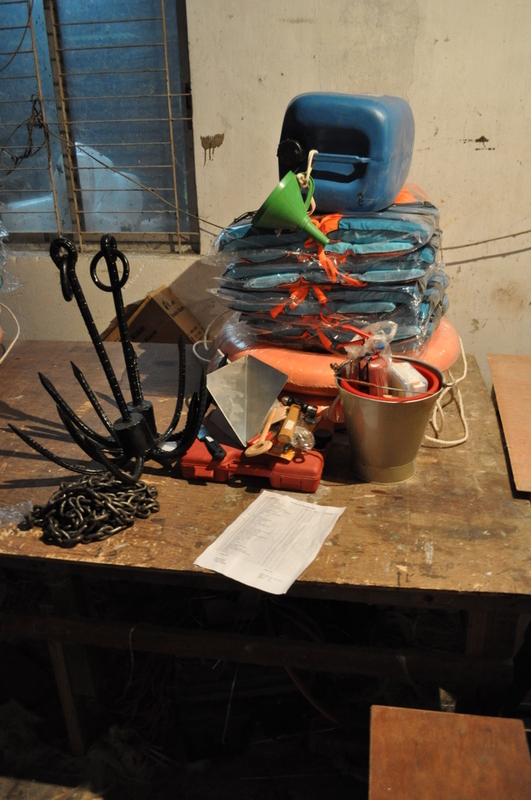 Then, we prepared the boats with all maintenance tools and safety items. 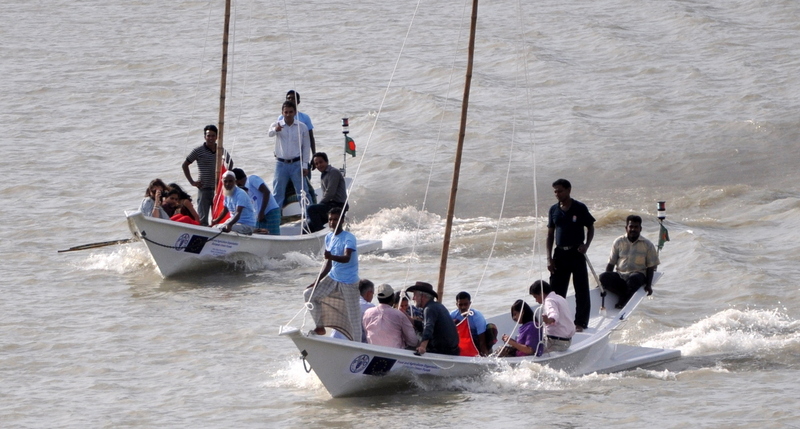 The inauguration ceremony has been presented by the Minister of Fisheries and Livestock of Bangladesh. 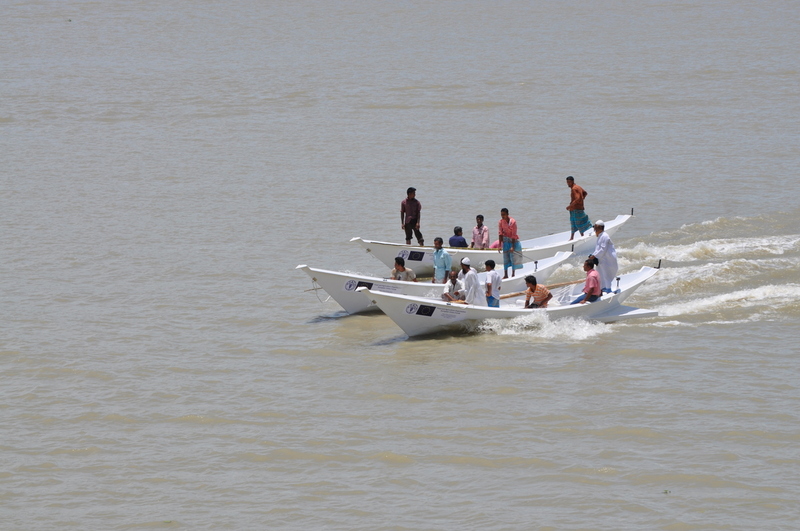 Fishermen, very glad of these new boats, followed a training to know how to use it as well as a training about safety at sea. 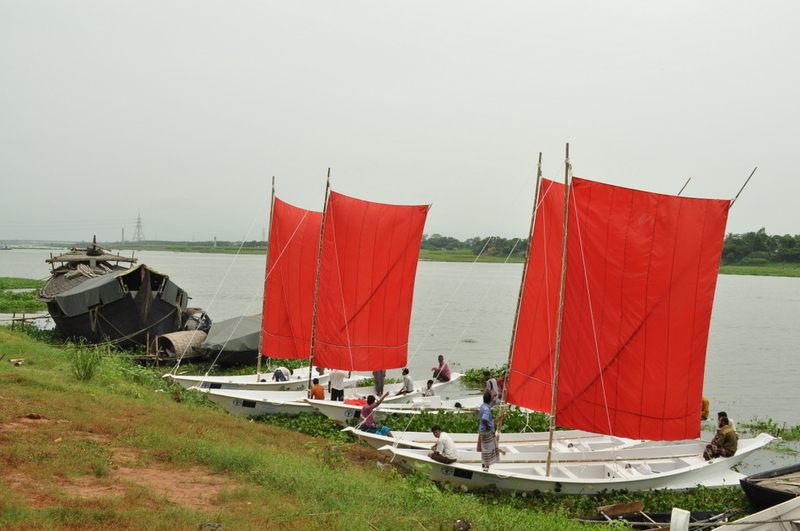 After that, they went back to their villages. 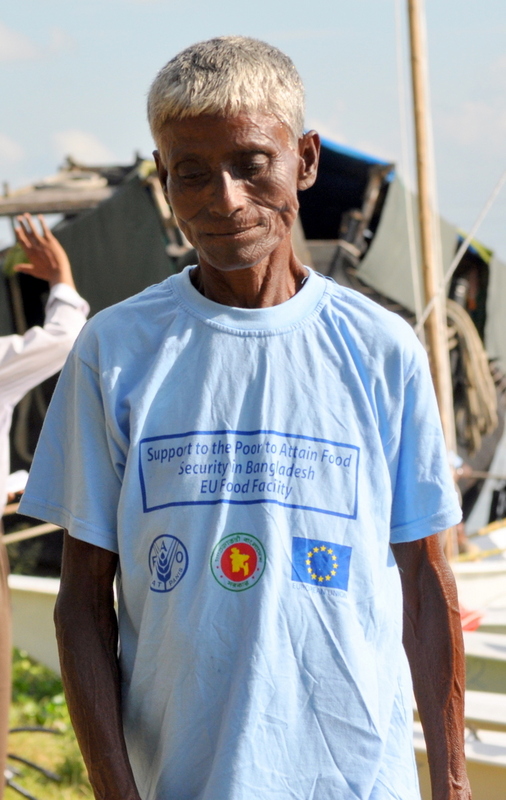 As soon as they arrived at home, they shared their happiness with families and friends. 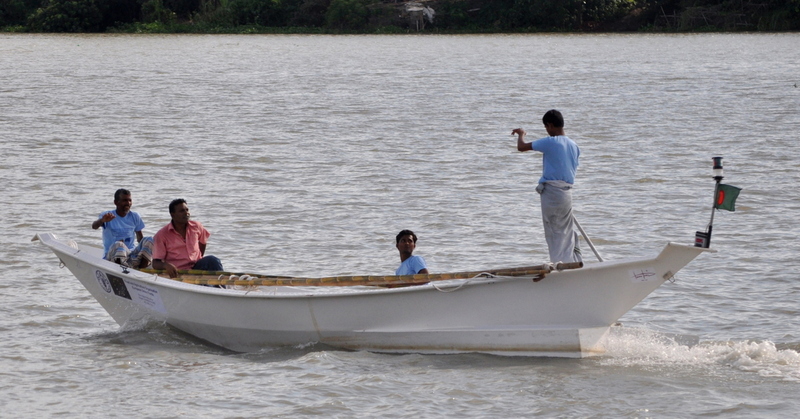 Stability and capacity of the boat has been well appreciated by all! 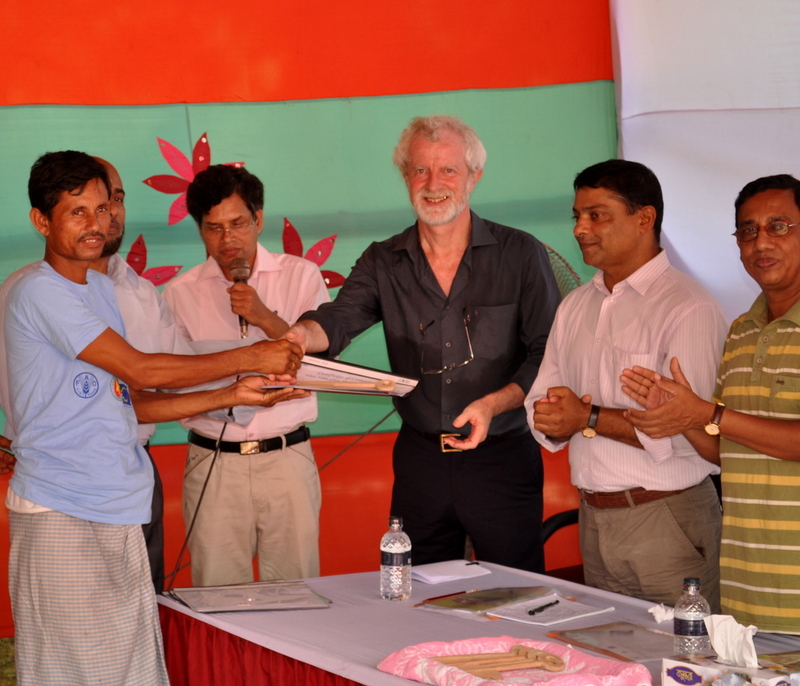 The Food and Agriculture Organization (FAO) of the United Nations is implementing the project entitled “Support to Assist Landless, Marginal and Small Farmers to Overcome Soaring Input and Food Prices in Impoverished Areas of Bangladesh” with the financial contribution from European Union in 20 selected Upazilas of the south-western districts of Bangladesh. 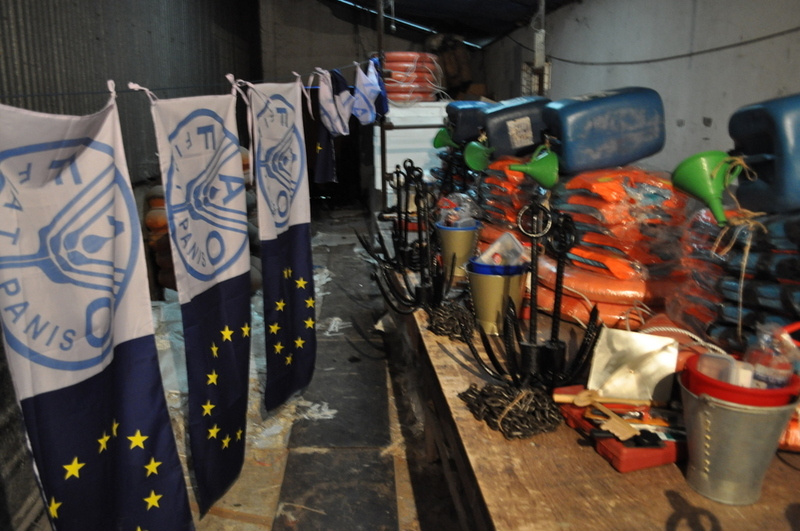 As a part of support, the fishers will receive fish seed, fishing boat and life saving equipment to facilitate aquaculture and open water fishing. 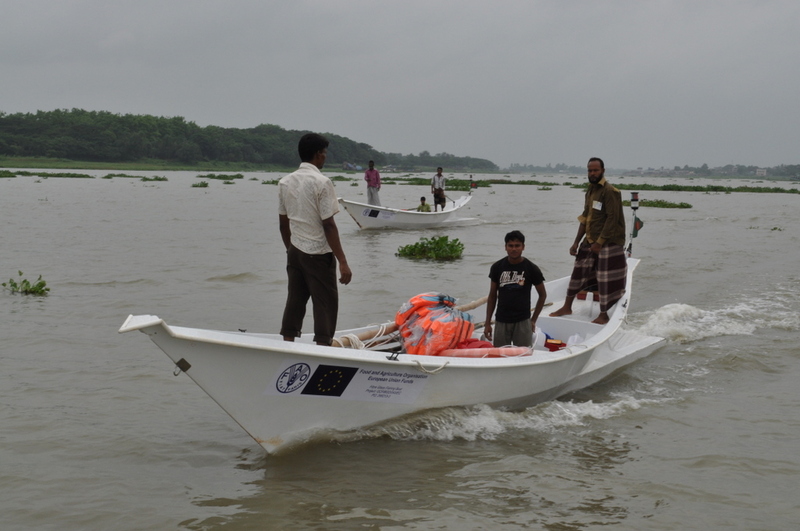 In continuation to these activities, newly built Fibtre Reinforced Plastic (FRP) Boats will be distributed among the poor fishermen of the project areas. 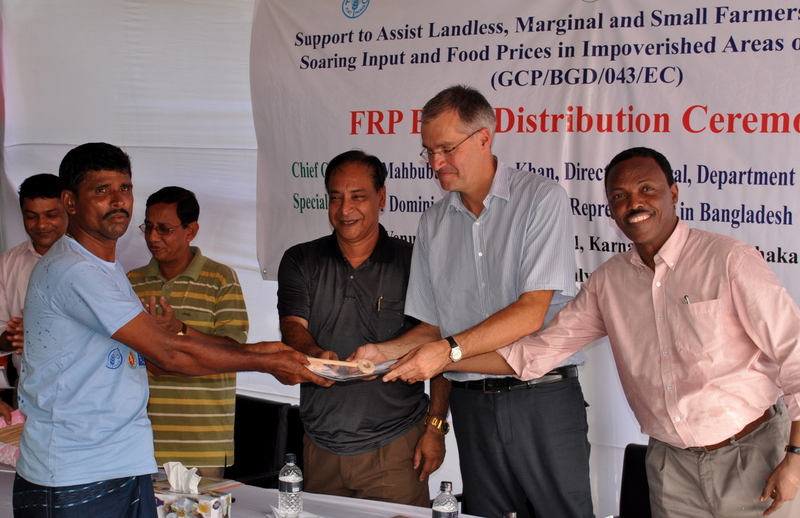 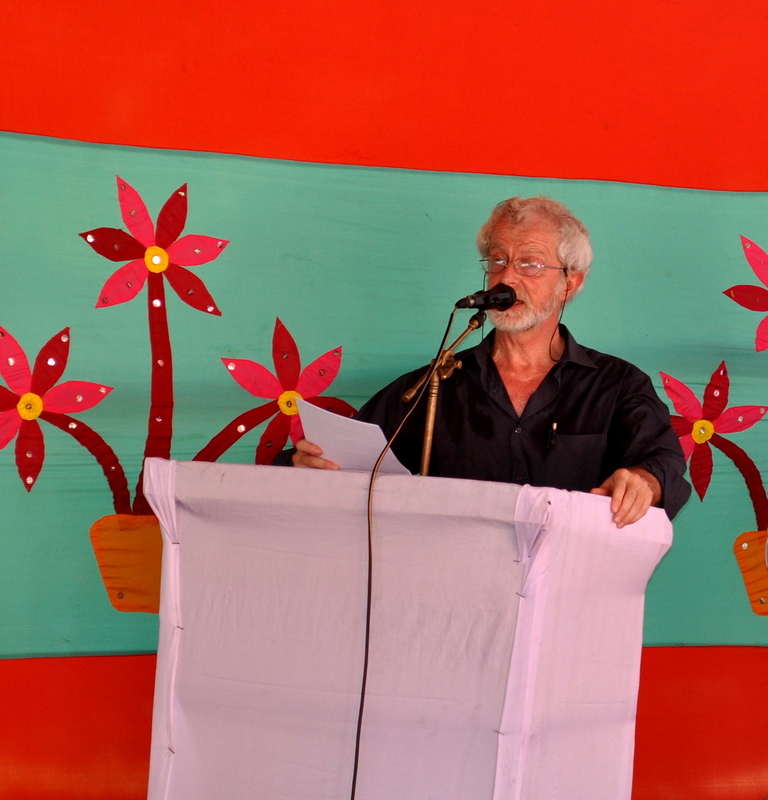 Mr Mahabubur Rhaman Khan, Director General, Department of Fisheries, has kindly consented to be present as chief guest, Mr Dominique Burgeon, FAO representative in Bangladesh has also kindly consented to be present as the Special Guest. 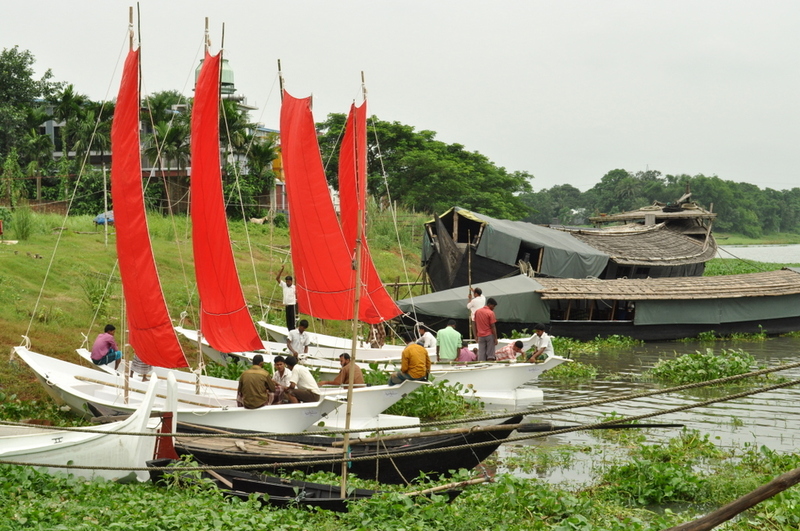 You are cordially invited to the ceremony. 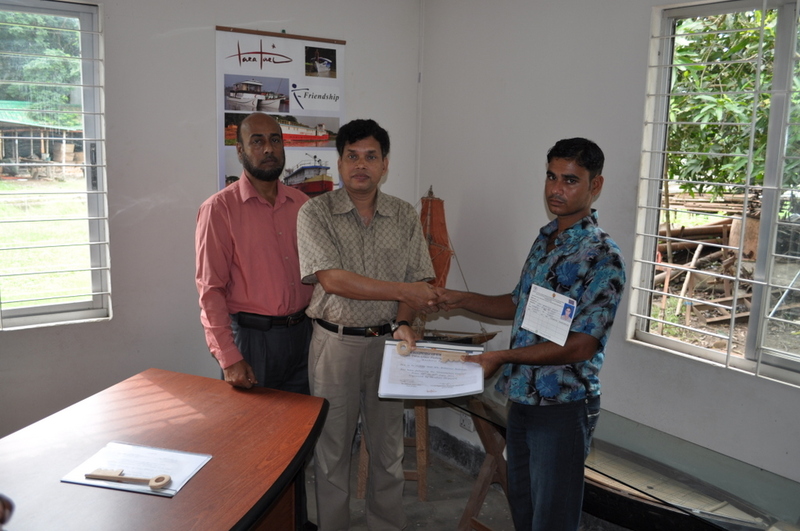 TaraTari’s shipyard as well as all the staff has been very happy to work with such partners. 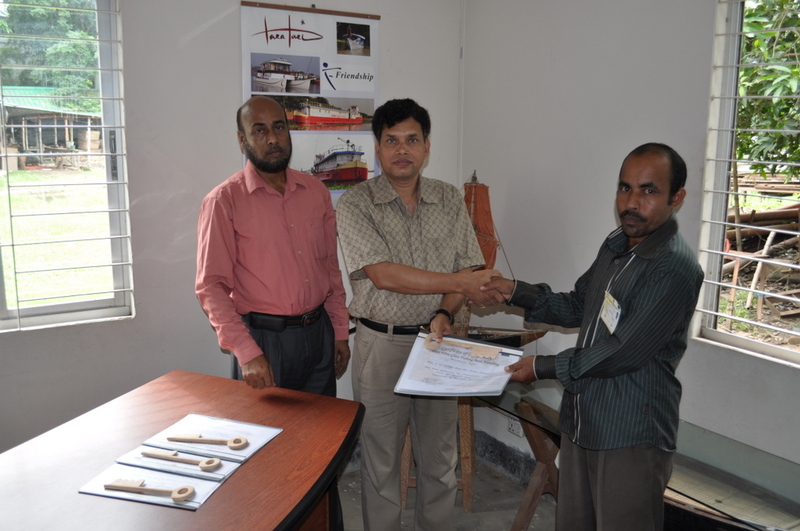 We would like to thank Mr Alam, Mr El Zein and all other FAO staff for the trust they have put into TaraTari Shipyard in achieving such project. 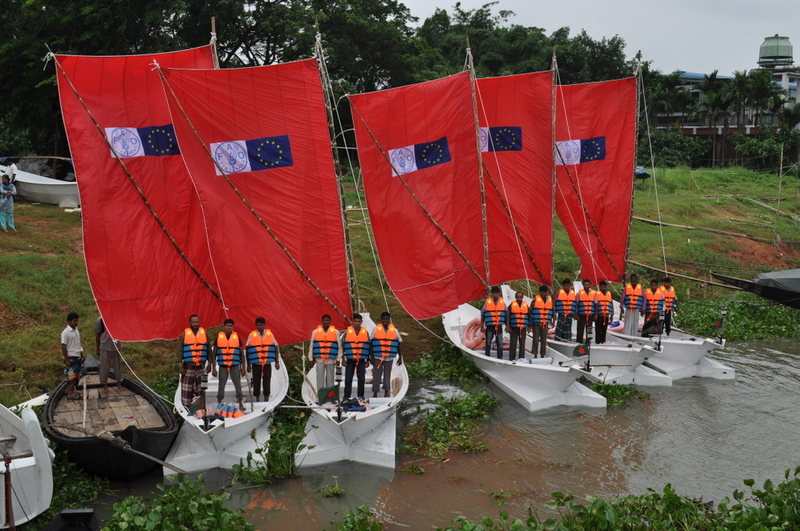 These boats are the last ones for the year 2011, 25 units of FRP boats and safety equipment for the safe and efficient day duty of the fishermen. 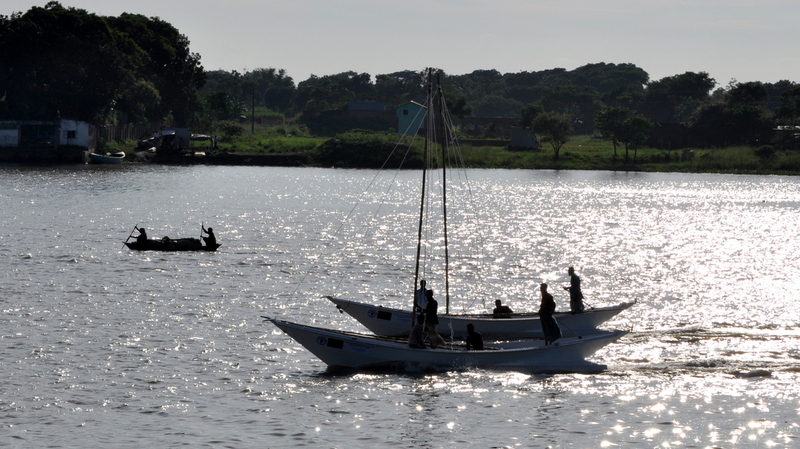 Within the next months Department Of Fisheries will be closely monitoring the activities in the fishing waters, and optimisation of the product will continue with time to achieve adapted solutions in specific areas and their specific fishing tradition. 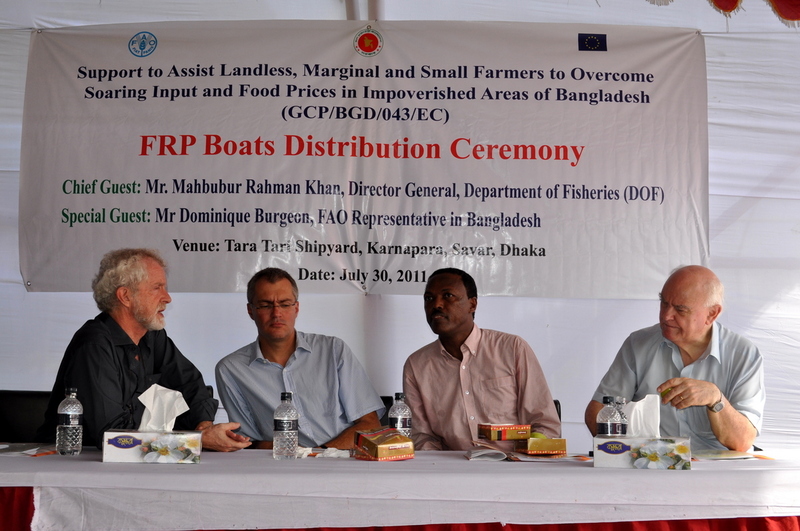 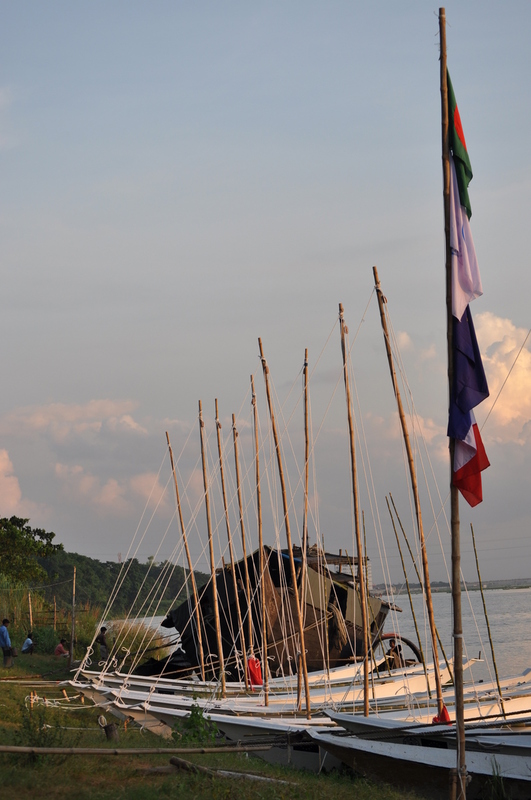 The last 10 boats for the FAO and Bangladesh Department of Fisheries have been delivered at TaraTari. 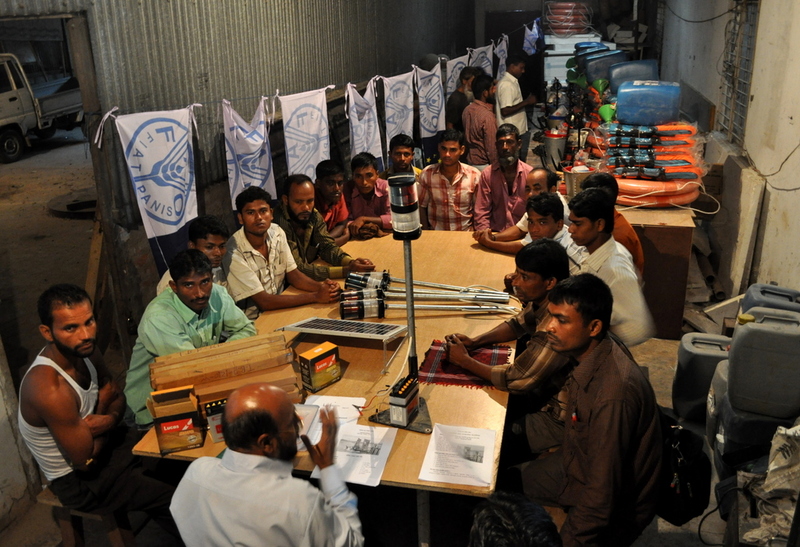 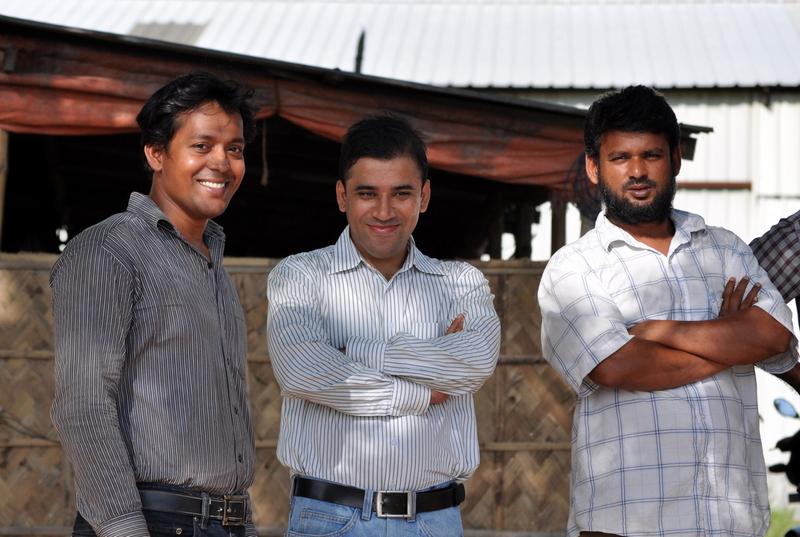 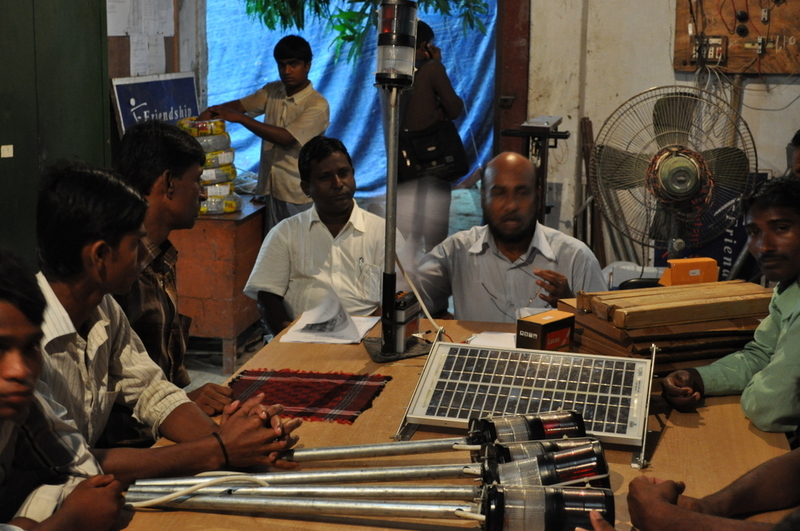 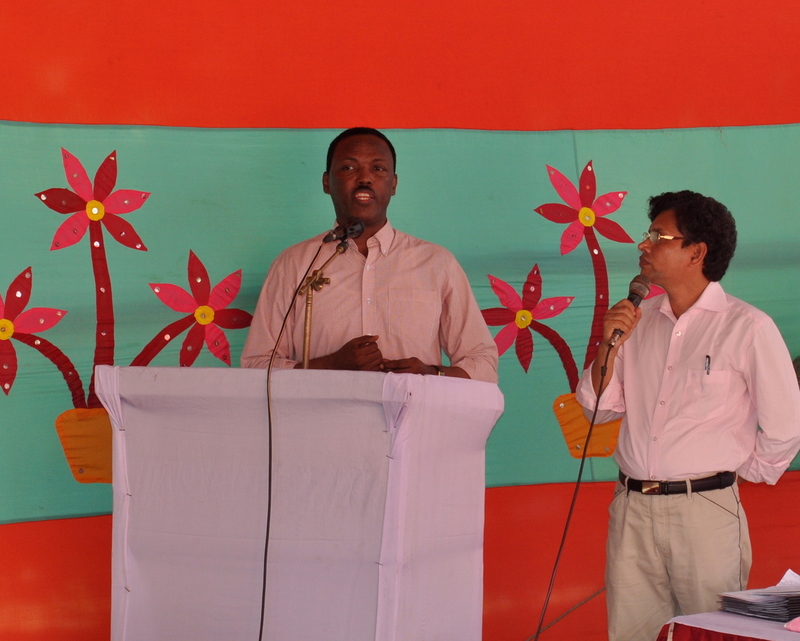 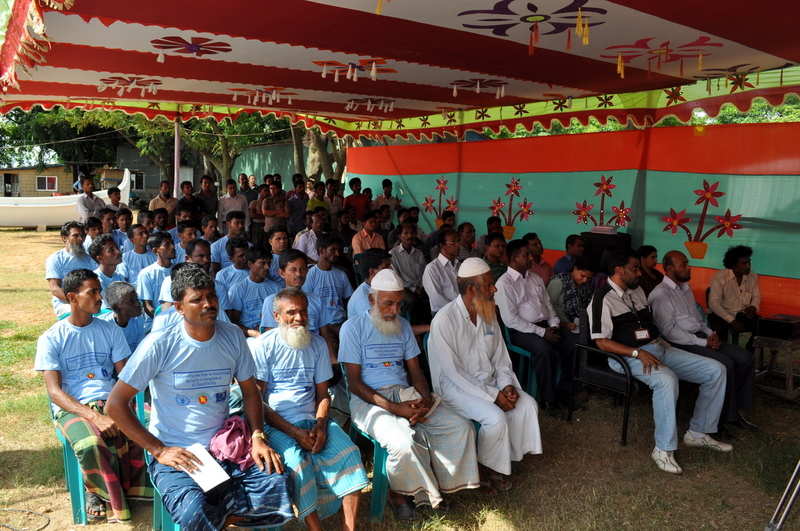 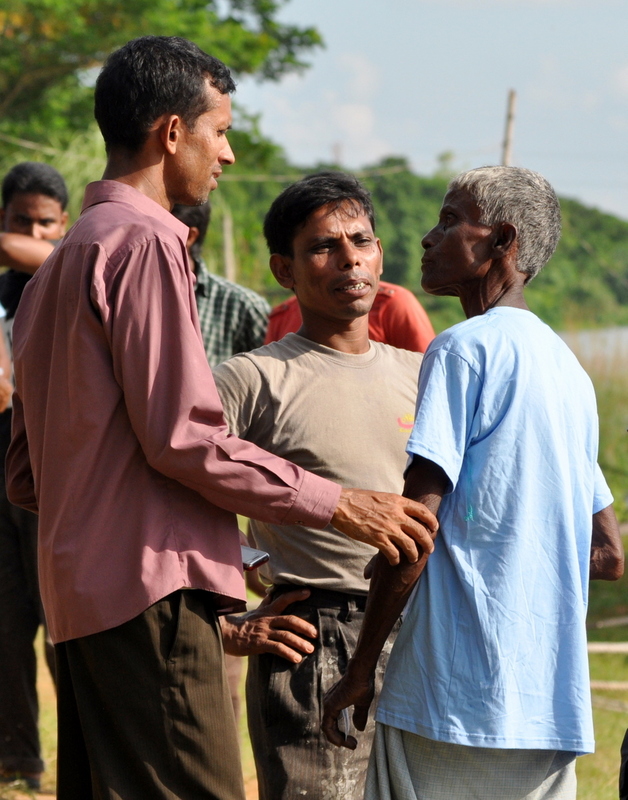 Preceding the delivering ceremony was a 2 days training course for the fishermen. 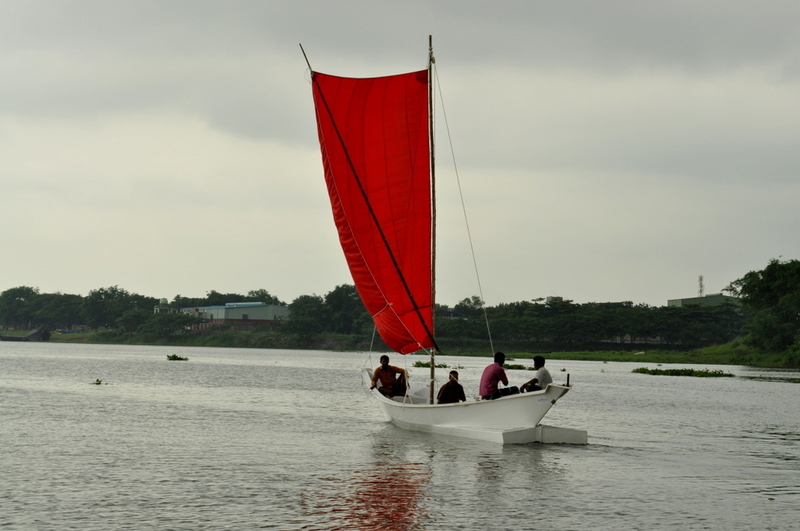 These two days consisted of formal courses on handling, maintaining the boats, but also briefing on the safety equipment such as navigation light, distress signalization mirror, radar reflectors, hand-flares, lifejackets… etc. 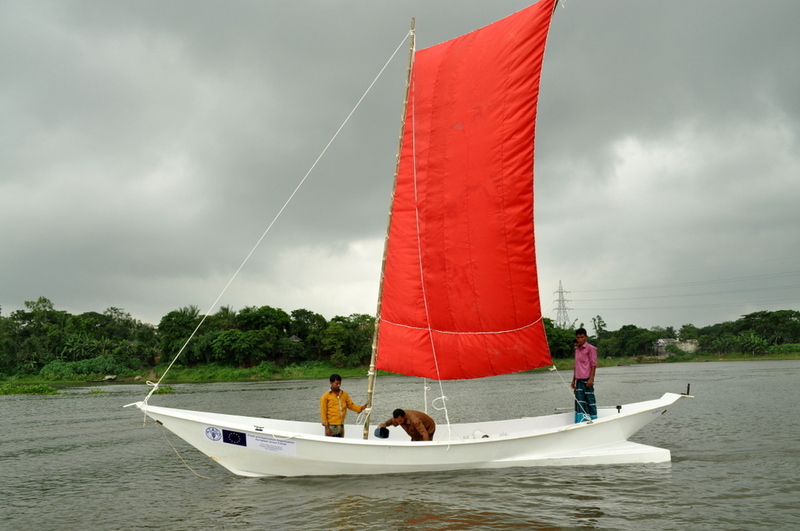 Practical training is also provided by the shipyard staff in order to optimise the usage of this new type of boat, with regards to running efficiency with the combination of diesel engine and sail or sail only. 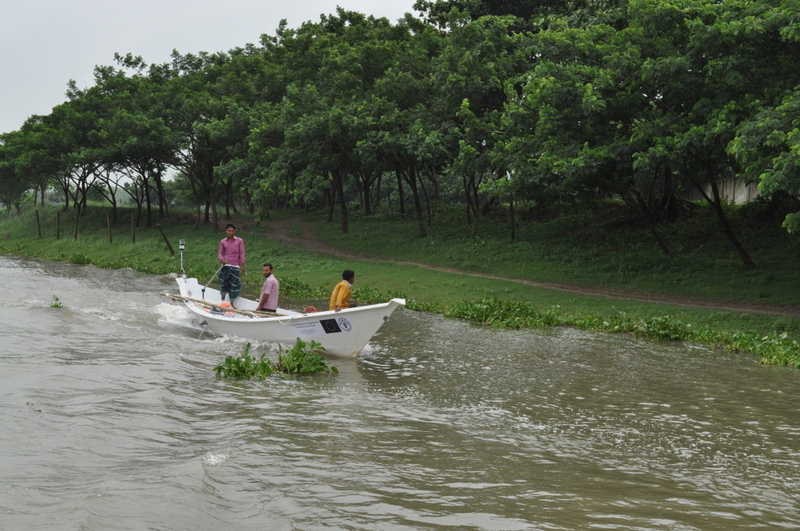 At present, only very few fishermen are use to sailing, this knowledge started disapearing with introduction of engine in Bangladesh in the last decade. 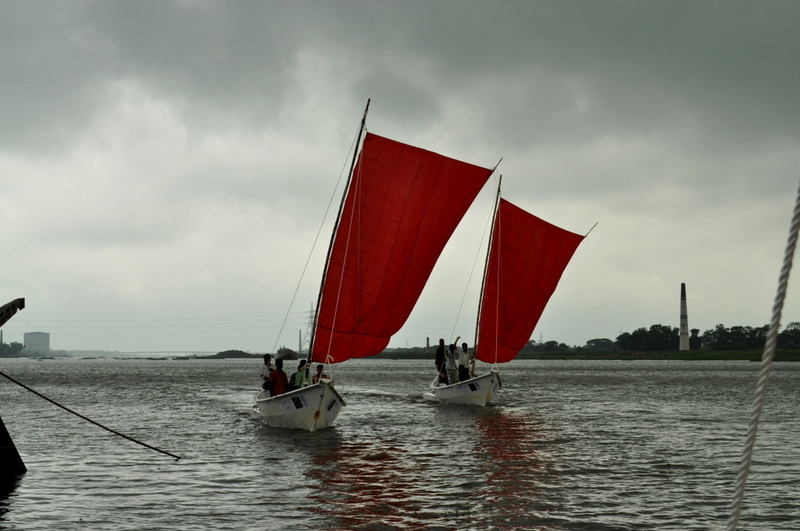 What was once the largest sailing fleet of the world is now struggling in sailing comprehension and application. 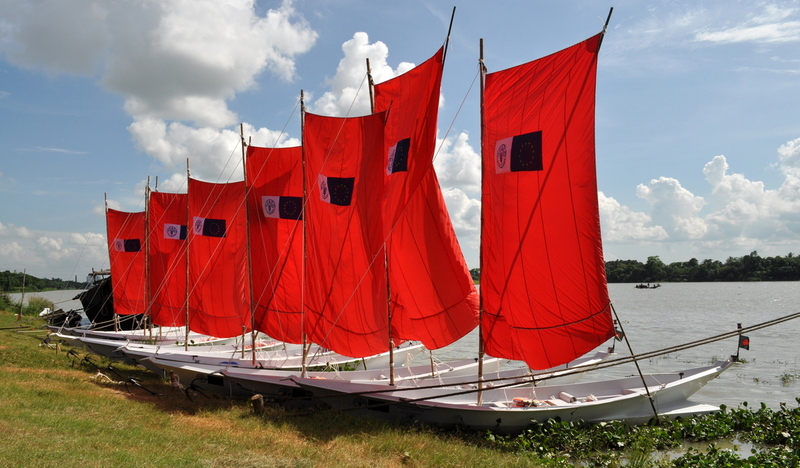 TaraTari is not only rehabilitating the sail usage within all of its boats, but also spending the time required to ensure optimum sailing competency. 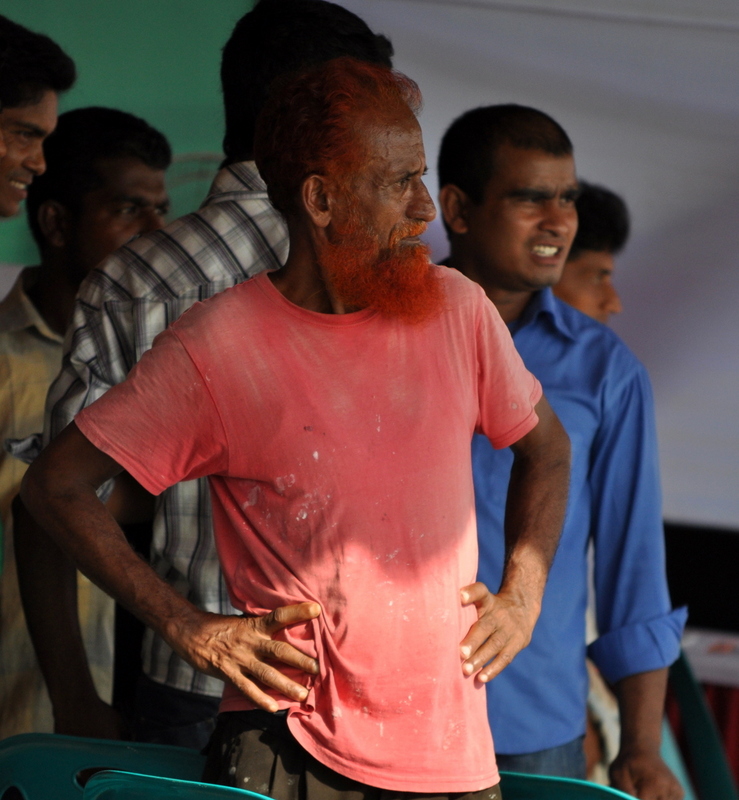 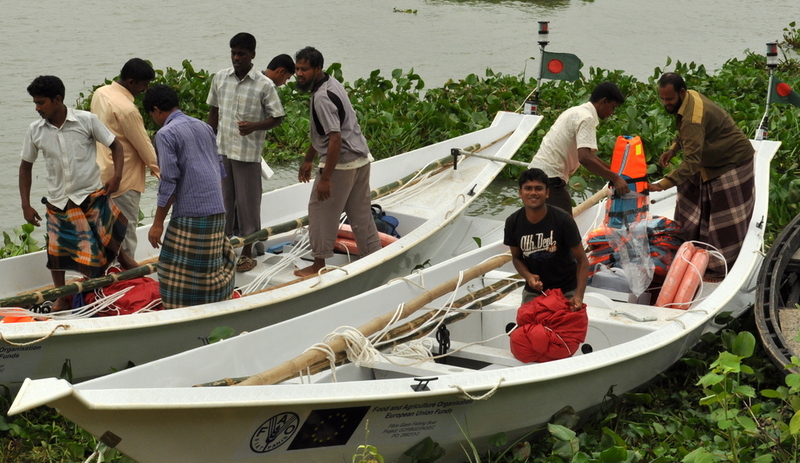 FAO and TaraTari are providing a composite fishing boat for the fishermen of Bangladesh. 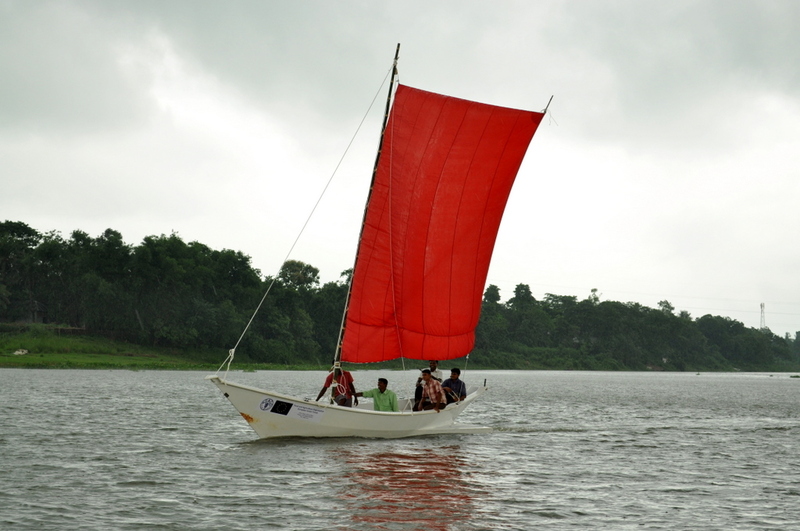 This boat is built to international standards of quality, un-sinkable class, and provided with a SOLAS equivalent safety equipment accordingly with its classification and type of operation. 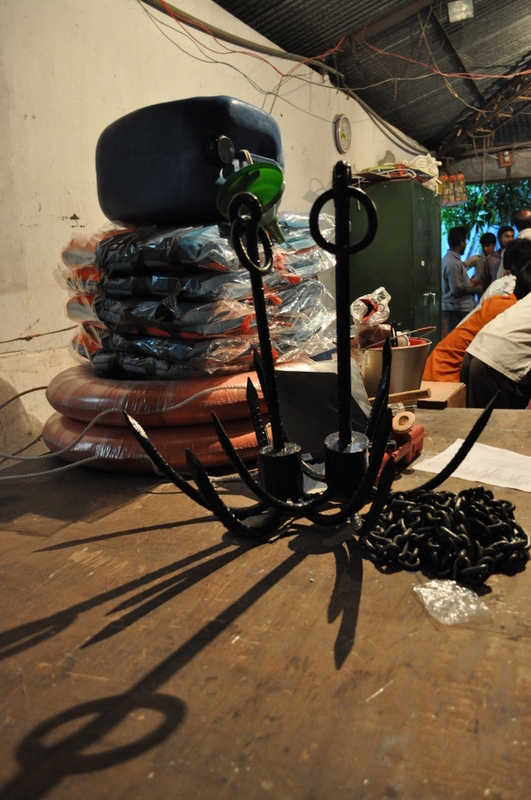 The training went well again and fishermen are very happy to be the leading users of such development project. 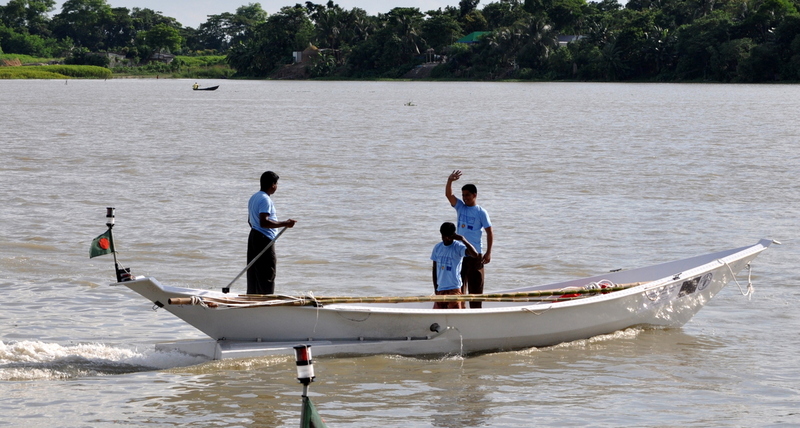 After the 2 days training, the fishermen got handed over their fibre glass fishing boat and equipment. 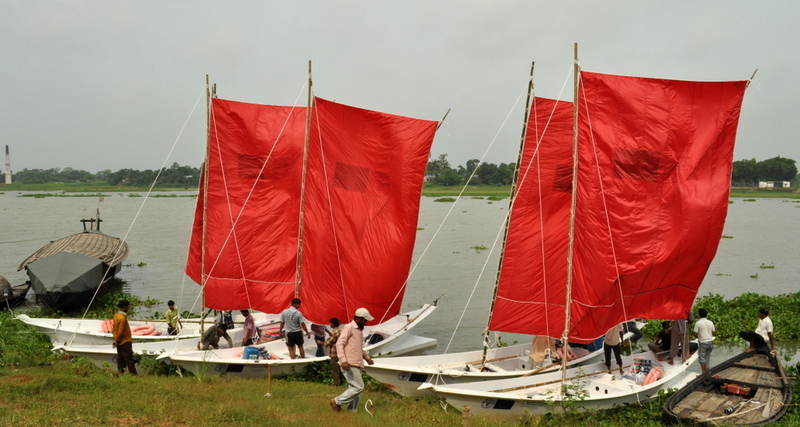 This delivery was the first part of a batch of 15 boats. 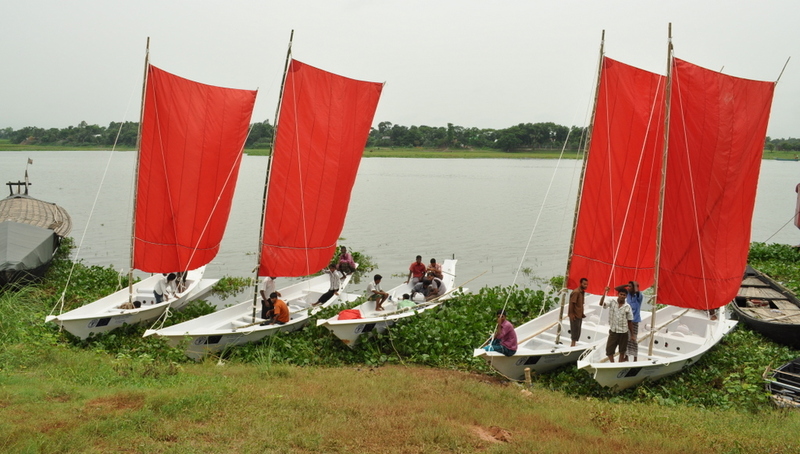 The next 10 are scheduled to be delivered on 12th July. 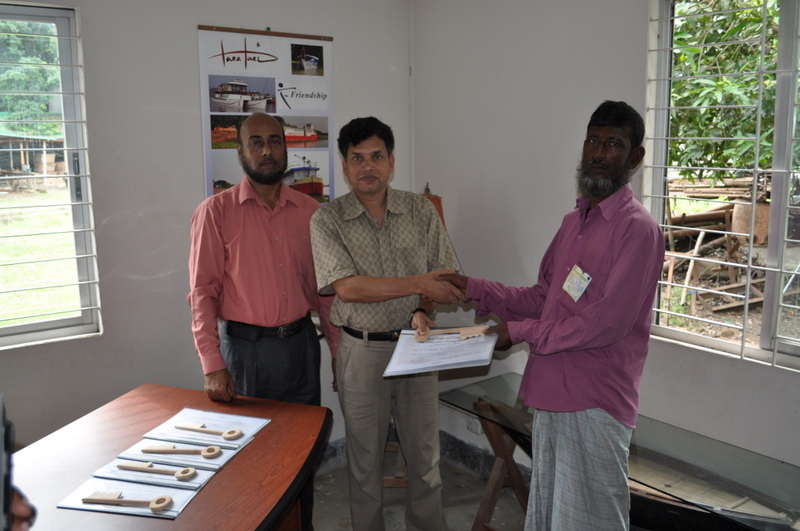 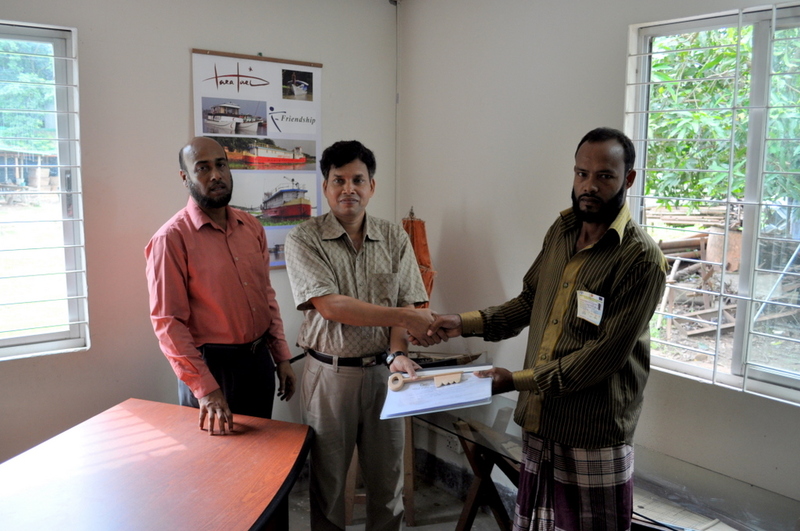 Year 2011 will have provided 25 fibre glass fishing boat for the fishermen of Bangladesh. 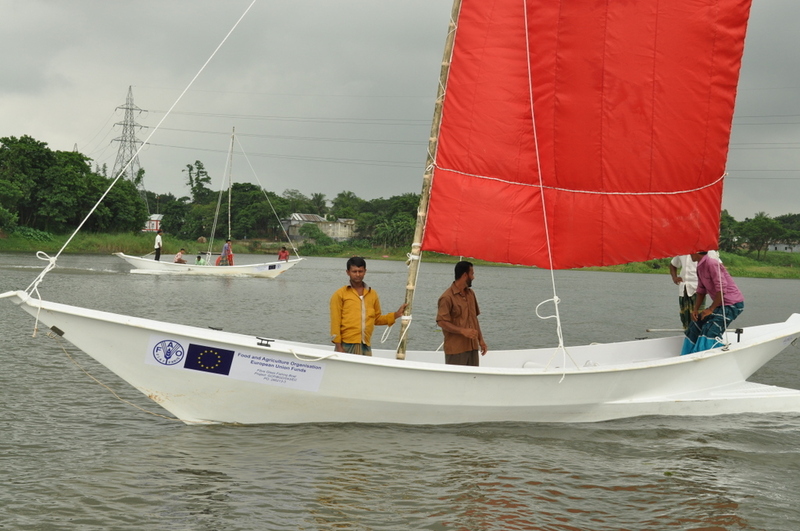 This initiative is coming from the FAO and European Funds for Bangladesh food program, more specifically, the ministry/department of fisheries in Bangladesh. 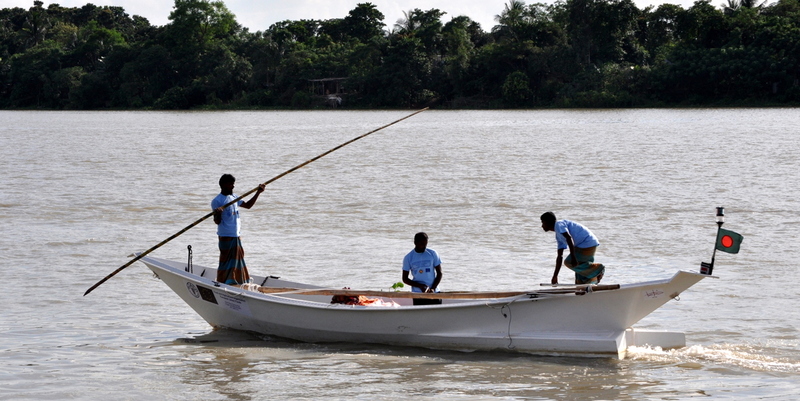 For the second fibre glass fishing boat order of the FAO (Food and Agriculture Organisation) another training of the fishermen has been offered by TaraTari before handing over. 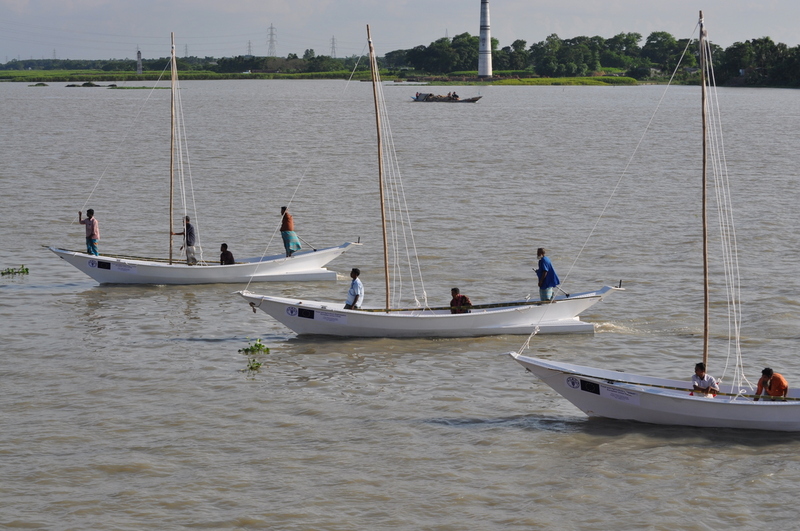 The training of the fishermen to this new technology and different handling methods is essential to us (TaraTari) in order to ensure the good start of this second phase; technology evolution for fishing boats of Bangladesh. 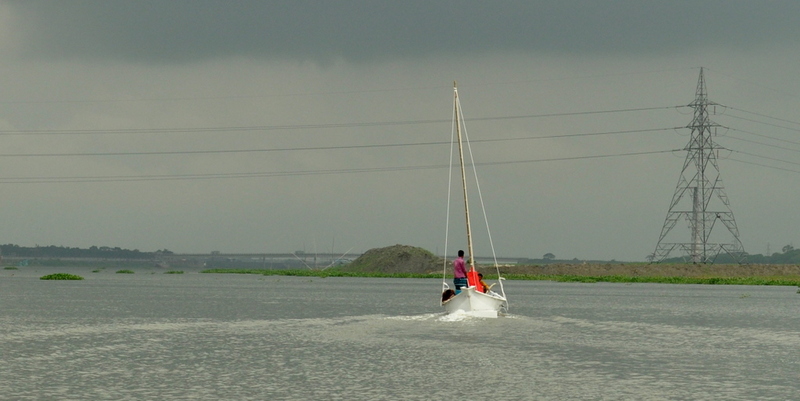 Those two days have been quite wet (and not because of the sea state) due to monsoon season, but everybody was happy to spend time on the water and in the classroom. 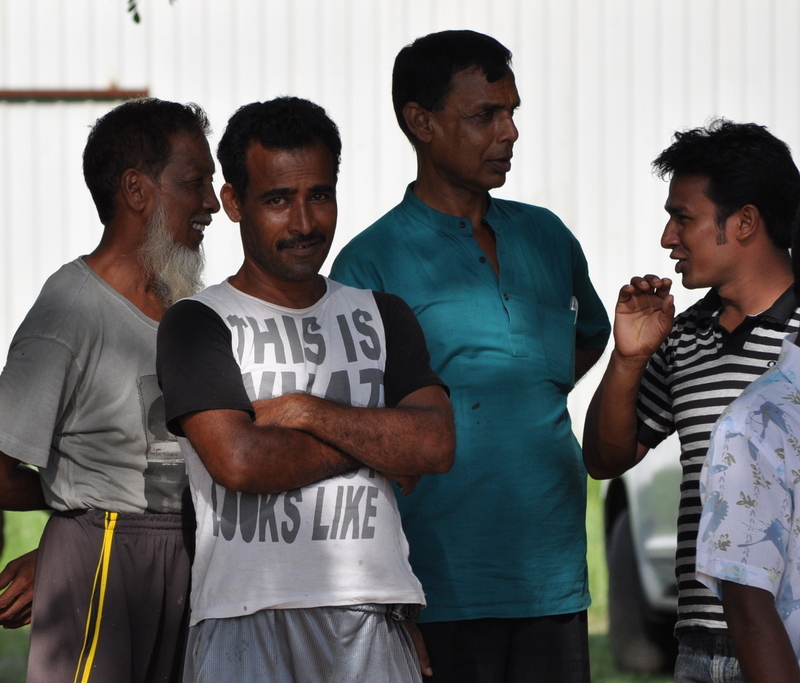 The next day, during the handing over, fishermen are granted a certificate of competency in Fibre Glass Fishing Boat Handling along with the user guide, to ensure correct use and maintenance of the boat, for the coming years. 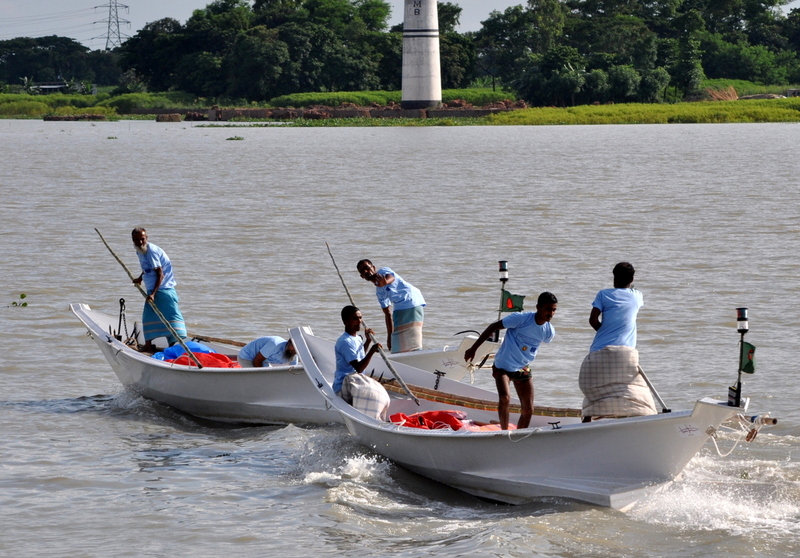 You are currently browsing the Masdoris category at TaraTari.